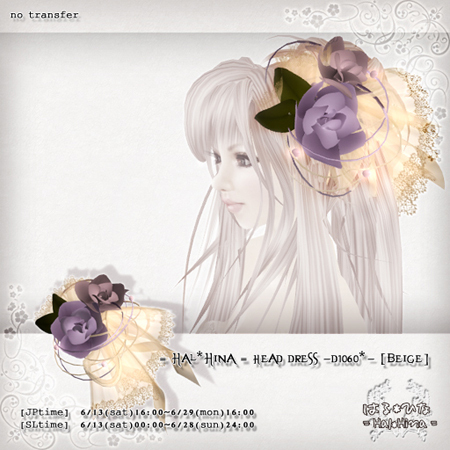 Hal*Hina: Current Gifts | Beanie Loves Japan! I found three Lucky Boards. Gifts included a hairpiece, hair, and a pretty purple dress. I found a pair of white toeless over-the-knee socks with prim color-changeable ribbons. Ribbons change by click to your choice of ten different colors. I found a cute medium length brown hair and box with two adorable boleros. 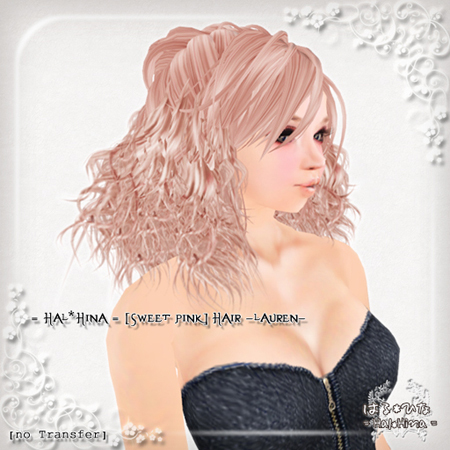 You can also find this hair in a different color in a Lucky Board at the Hal*Hina Zest Town store (SLURL: http://slurl.com/secondlife/Horseshoe/177/17/142). I found a cute beige dress and a pretty pale blue dress, each for camping 20 minutes.